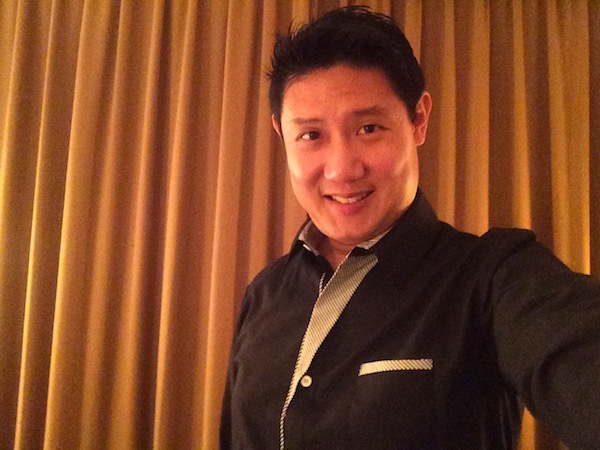 Reached KL in the afternoon and checked in to the hotel. I was here to attend my university classmate’s wedding dinner, and found out that there was a Harley Davidson event going on here in Hard Rock Cafe Kuala Lumpur. 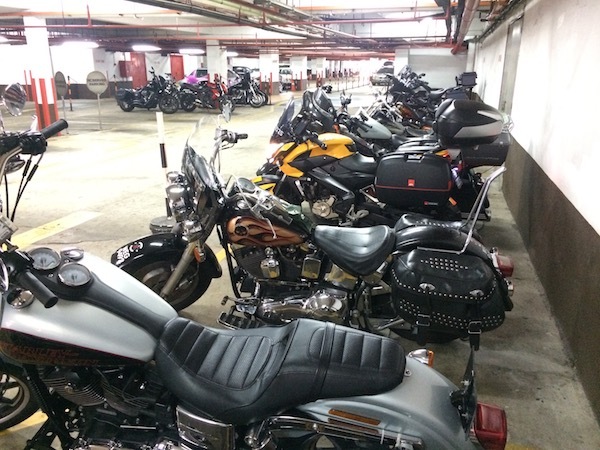 Harley riders from Malaysia, Singapore and Thailand, clad in their signature leathers gathered here. Parked my Pulsar amongst the group of Harleys. There seem to be a Harley event going on with bikers from Malaysia and Singapore gathering here. Back in my hotel room after the wedding dinner. Who says you can’t look sharp on bike trips? I left KL the next day and headed towards Gerik. I had initially planned to stay over in Gerik for a night before heading towards Kota Bharu the following morning. But since I got here early, and being a Sunday, most places were closed, I figured that I’ll do the Gerik highway and shoot for Kota Bharu. Some series of easy curves along the Gerik Highway. Quite frankly, the Gerik Highway (Road 4) was a little underwhelming. I’ve heard so much about it and have different people at multiple occasions recommending that I ride that route. 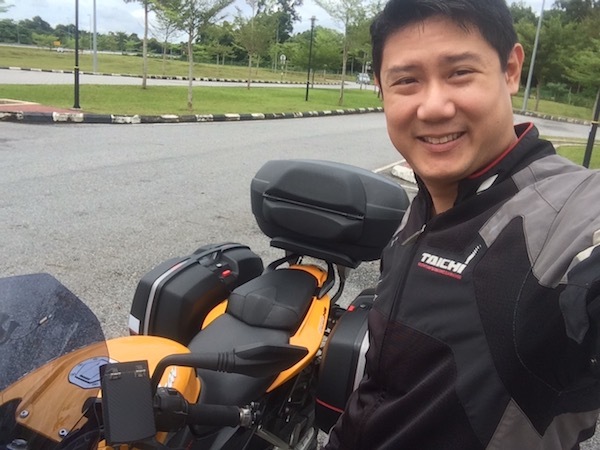 Perhaps it was the heightened expectations; or perhaps it was due to my not-too-long-ago experience of riding in northern Thailand and Laos; or maybe it was due to the wet weather, the roads were “nice”, but definitely nowhere near “stunningly beautiful”. Lunch with my Pulsar at a small town along the route. I get to sit inside with the air-conditioning, while the Pulsar sits under the sun. I got slowed down in Kuala Terengganu with rain lasting sporadically over more than 20 hours straight! And yes, that meant being stuck in my hotel room with time to catch up on my reading. No riding around town, no riding to nearby attractions, and definitely no riding to the beach. What a bummer to an otherwise perfect riding holiday. Somewhere between Kuala Terengganu and Kuantan. Beautiful highway roads with minimal traffic. 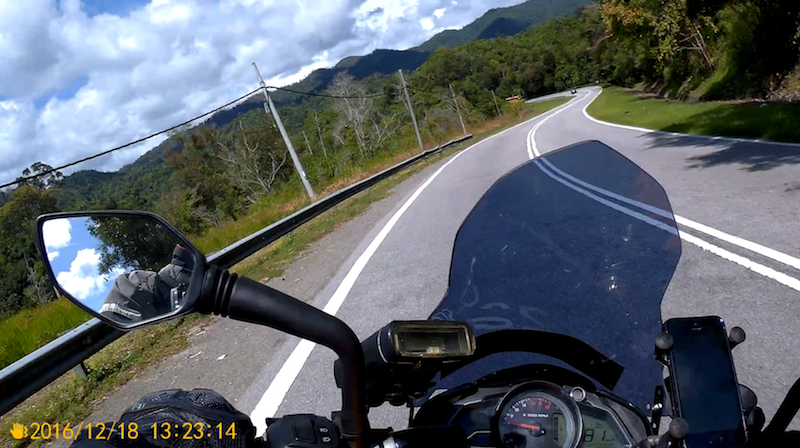 But at least I managed to complete the loop around Peninsular Malaysia, and boy, some of the roads were pure fun! 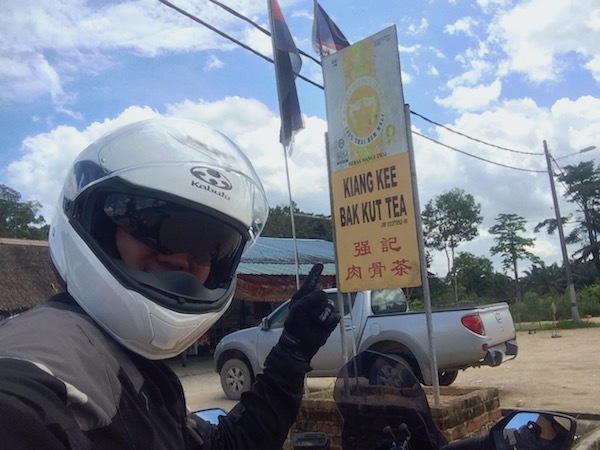 Actually, I found the eastern coastal road (Road 3) between Kuala Terengganu, through Kluang and to Mersing comparatively nicer to the Gerik Highway. Well maintained tarmac, very light traffic, and beautifully manicured palm plantations flanking both sides of the road. It was a nice mix of long, straight stretches and reasonably fun turns; no hairpins though, but fun enough. One of the highway stops. Overall, this ride was about the ride, and not about visiting places. 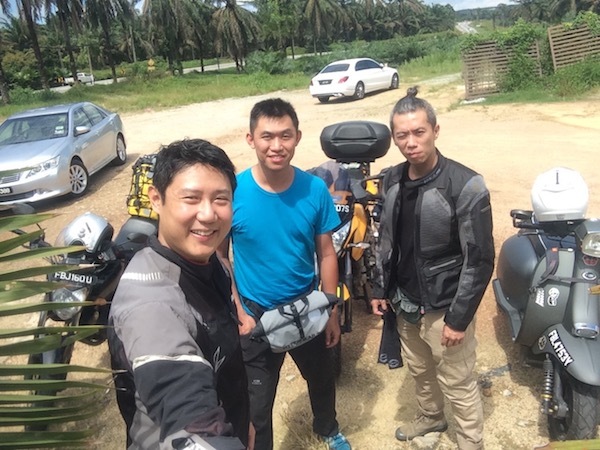 On the way back towards Singapore, I met two brothers riding their 2B motorycles – also heading towards Singapore. 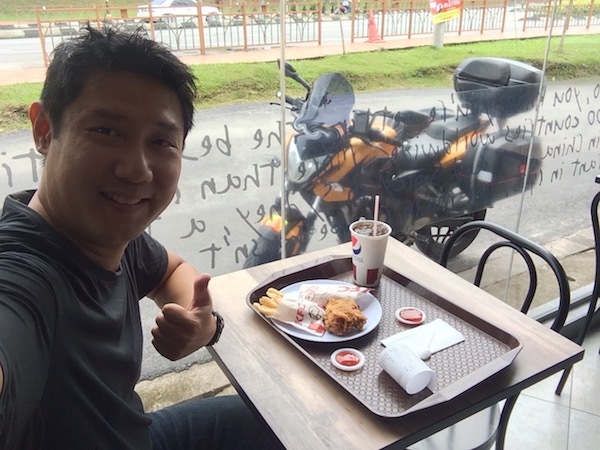 Jay and Anton were on a 3-day riding trip and were exploring the eastern coastal roads for the first time too. 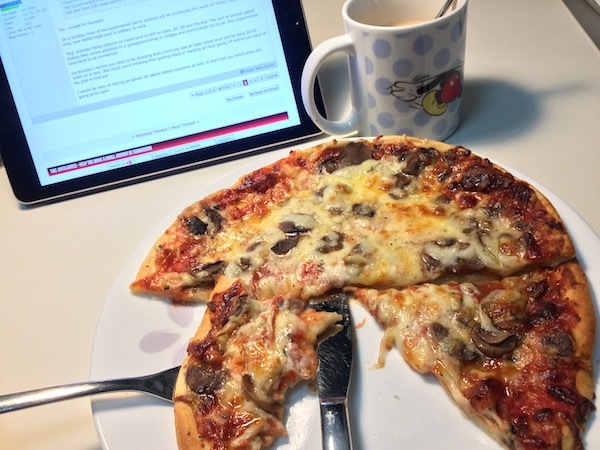 We stopped and said “Hi” at a red light in one of the smaller towns, and extemporaneously decided to head to a nearby shop for a quick break and some light snacks. After 2 roti pratas and a cup of teh each, we decided to ride together since we were all headed on the same route – back to Singapore. Jay (in blue) and Anton – (real) brothers on bikes heading back to Singapore. 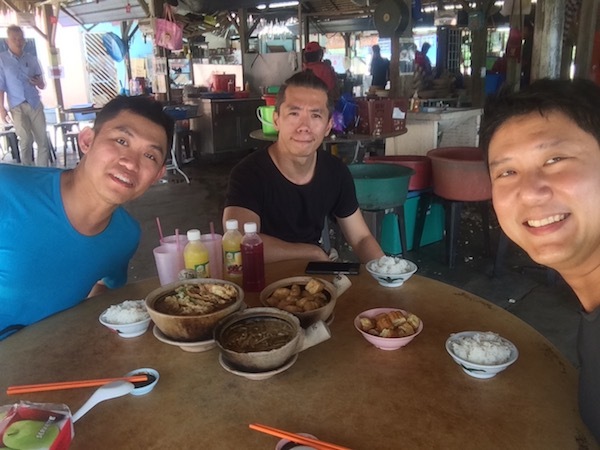 Enroute, we decided to stop by the famous Kiang Kee Bah Kut Teh restaurant along Road 3 for lunch. The popular bah kut teh eatery was quite crowded. The popular Kiang Kee Bah Kut Teh (pork rib soup) restaurant on Road 3 between Mersing and Johor Bahru. If you take the village road instead of the highway down the east coast you may see more scenery. I caught glimpses of coast ride but not long stretches of clear beaches though. Aww… That’s a real pity. The highway I took was from Kuala Terengganu to Kluang on highway E8. 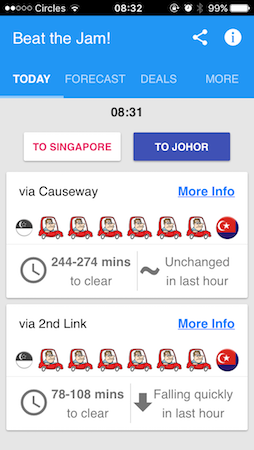 Otherwise, from Kluang to Mersing and then to Johor was on the small coastal road 3. Yes, I did get to see the beach occasionally. I guess I didn’t enjoy Gerik as much as I was a little tired and the weather wasn’t treating me too well. 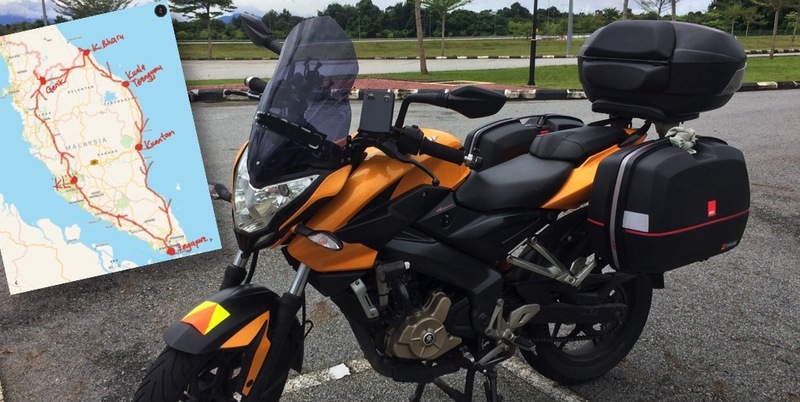 Imagine riding from KL to Gerik to Kota Bahru (across the Gerik highway) all in a day. U r right. One of the bigger factor is time. With more time I believe most trips would be more enjoyable, especially those that emphasize on the journey rather than the destination. Like you said, I also think you would possibly enjoy it more if you do it one more time, with more favorable conditions. Probably next year! 🙂 Perfect excuse to go on a ride again! Lol! It’s not quite an “app” per-se. Just shoot to this mobile-friendly website causewayjam.com. I saved that site onto my iPhone’s main screen and it “becomes” an app. 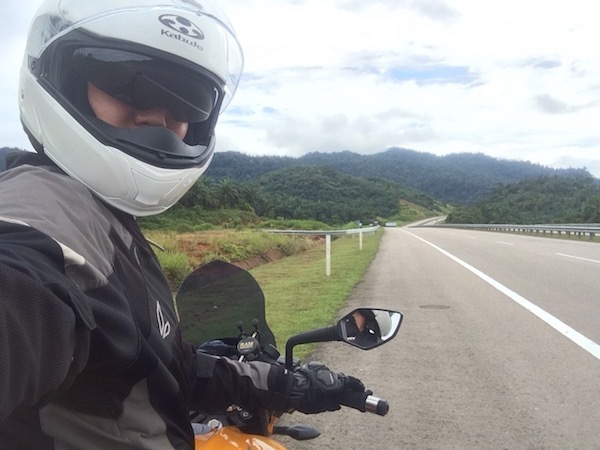 ← sgBikerBoy travels around Malaysia ← Merry Christmas Everyone!